Crude oil exploitation and petroleum industry development incited interests in a research within neighbouring countries, as are Slovakia, Hungary but also Moravia, where the history of petroleum industry started as early as in 1899. The first official drilling in Moravia, carried out on 27th March 1900 and it was named "Helen", was accomplished by Julius May, say in Bohuslavice nad Vláøí village. In this year the second deep drilling in Moravia was realized as well the giving rise to the sequential petroleum industry development in the region. The second drilling was performed in the proximity of the Nesyt courtyard near Hodonín and its executor was a geologist E.Tietze. Based on his research the Hodonín exploratory field was designated as an interesting one just from the scientific point of view, nevertheless at the same time as an uncertain area speaking of financial investments and their backflow. Due to this declaration the discussed area was abandoned for a long time, i.e. until 1917. As lately as the crude oil finding situated near Gbely town in Slovakia (Jan Medlen and his natural gas discovery) led to a goal-directed research reinitialised in Moravia. The most significant production corporation, achieving among state organizations, was called the Moravian Exploitation Company, opening deep drillings on the grounds belonging to the Nesyt estate in 1919. Twelve deep boreholes had been implemented before the company was renamed in 1925. The time period extending from 1939 until the liberation of the country in 1945 is considered as the stage of the exterior funds´ control in the entire petroleum business, namely the German funds enforced here. This financial control was unambiguously intensified owing to central administrative authorities and crude oil became a strategic raw material. DEA corporation (Deutsche Erdöl A.G.) was the most powerful and the largest company carrying business in oil industry. Its business developed within the Bohemian and Moravian territories. There were about 1.002 drilling sites operated by DEA just in the Hodonín area. After the country liberation in 1945 the Moravian enterprisers´ interest came out to found an integrated firm. 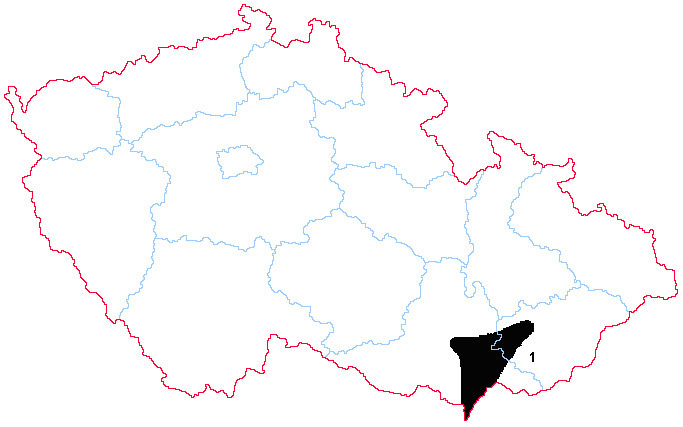 On 1st January 1946 the Czech Oil Plants (ÈNZ), residentiary in Hodonín, were officially constituted. At that time detached institutions were established in Hodonín, Vacenovice, Žatèany, Velké Bílovice, Bøeclav and Lužice localities. On the whole there were 1.858 workmen employed in 1948. The Czech Oil Plants co-existed until 1953. In 1969 Moravské naftové doly were established and after the year 1977 Moravské naftové doly and Nafta Gbely plant associated in NPP Bratislava trust. Moravské naftové doly plant were in charge of the oil exploration activities whereas the Nafta Gbely plant was engaged in the oil exploitation sphere. After 1989 both companies disaffiliated. In connection with this the independent company came into being on 1st April 1990 – the state company of the Moravian Oil Industry seated in Hodonín. On 1st May 1992 this company was enlisted in the commercial register indicated as Moravské naftové doly a.s., joint-stock company. 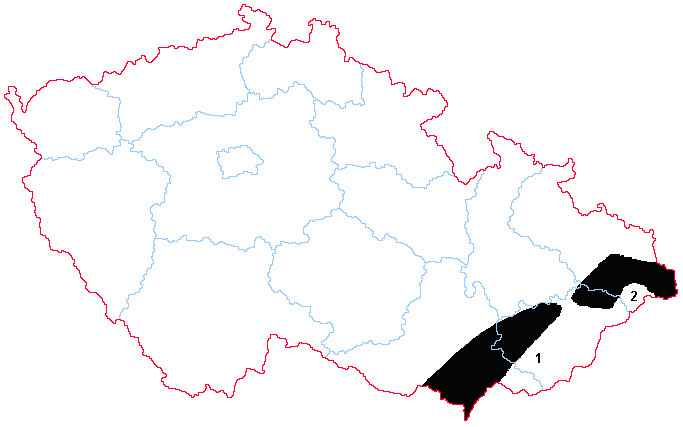 Oil deposits of the Czech Republic are confined to the Vienna - Moravia oil and gas-bearing province. The deposits are distributed over a great number of individual oil-bearing structures and producing horizons situated at the depth going down to 2,800 m. Sandstones of the Middle and/or the Upper Badenian represent the most productive oil-bearing rocks. The largest deposit of this area (Hrušky) whose major part has already been extracted, serves as underground gas storage. Another region, in which oil is anticipated to occur, lies in the Moravian part of the Carpathian foredeep where oil exploration still continues. The most important accumulations occur particularly in the weathered crystalline and Palaeozoic rocks. Light, sulphur free, paraffin-to-paraffin - naphtene oil prevail in this field. Uhøice and Klobouèky (in the Ždánice region) are the only oil deposits in this area. Three grades of oil were extracted in 1999 with specific gravity from 856 to 930 kg/m3 at 20° C, 20-33° API and with content of sulphur 0.08-0.32 % by weight. Natural gas deposits are genetically associated with formation of oil. The deposits are mostly located in south Moravian part of the Vienna basin. Northern part of the basin contains rather oil deposits. Exploited natural gas contains from 87.2 to 98.8 % of CH4, its caloric value is 35.6-37.7 MJ/m3 (dry natural gas at 0o C), specific gravity is 0.72-0.85 kg/m3 (at 0o C) and content H2S is under l mg/m3. The Carpathian foredeep is considered to be a promising area for the occurrence of natural gas. The composition of local gas deposits varies considerably. The Dolní Dunajovice deposit is characterized by high content of methane (98 %), whereas the deposit Kostelany-west contains only 70 % methane and is rich in helium and argon, which can be extracted on industrial scale. In northern Moravia, specifically between Pøíbor and Èeský Tìšín, the gas deposits are mostly confined to the weathered and tectonically affected Carboniferous paleorelief. The origin of these gas deposits developed close to the top of the Carboniferous morphological elevations has not been explained yet. Ideas about the gas to have originated during coalification of the local coal seams has little support and its origin is rather considered to be connected with the young processes, which led to the origin of natural hydrocarbons. This applies particularly to the gas deposits of Žukov, Bruzovice and Pøíbor. Part of the Pøíbor gas deposit is used as underground gas storage. Natural gas, of obviously Carboniferous origin and age, is extracted during so-called degasification of coal seams of the Czech part of the Upper Silesian coal basin. Its quality varies considerably depending on the method of extraction and technical limitations related to degasification. Natural gas from the mines Dukla, Lazy and Doubrava goes by 22 km long pipeline to the steel works Nová Hu in Ostrava. The Carboniferous gas contains from 94 to 95 % of CH4.